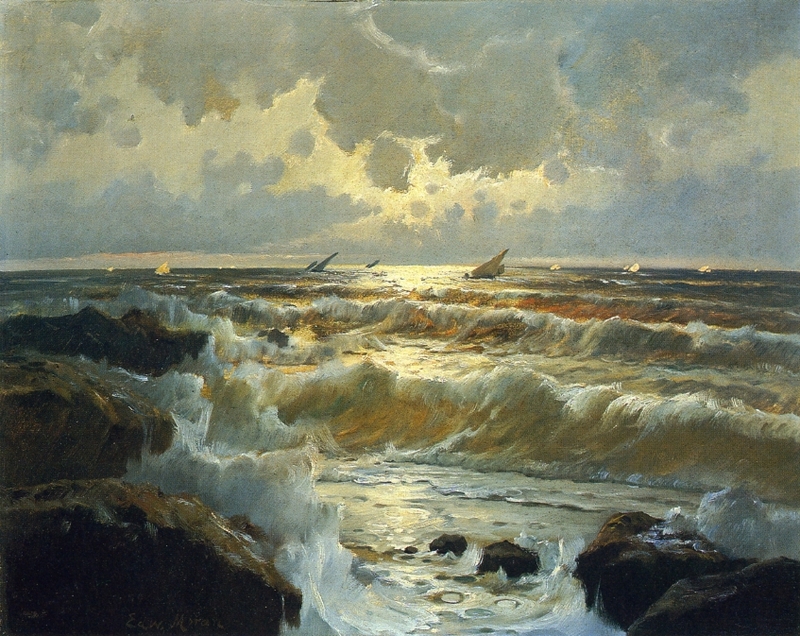 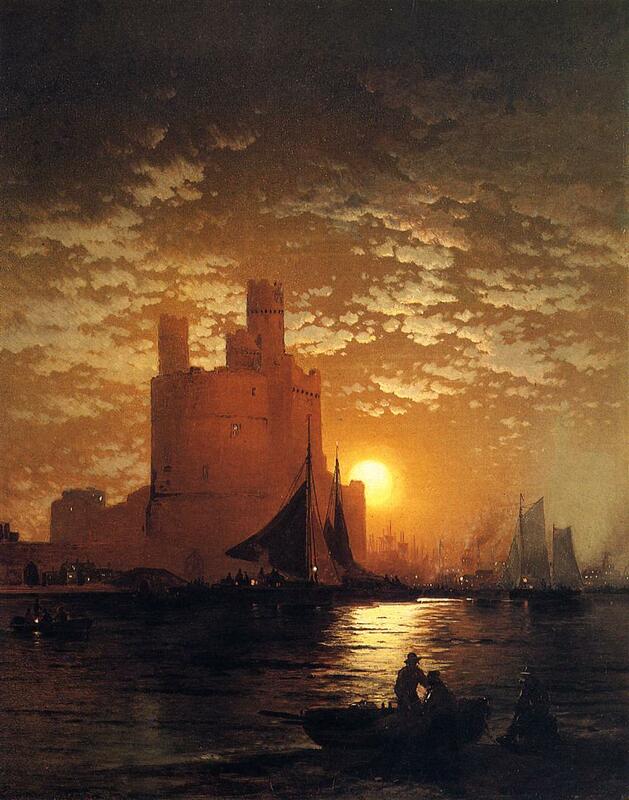 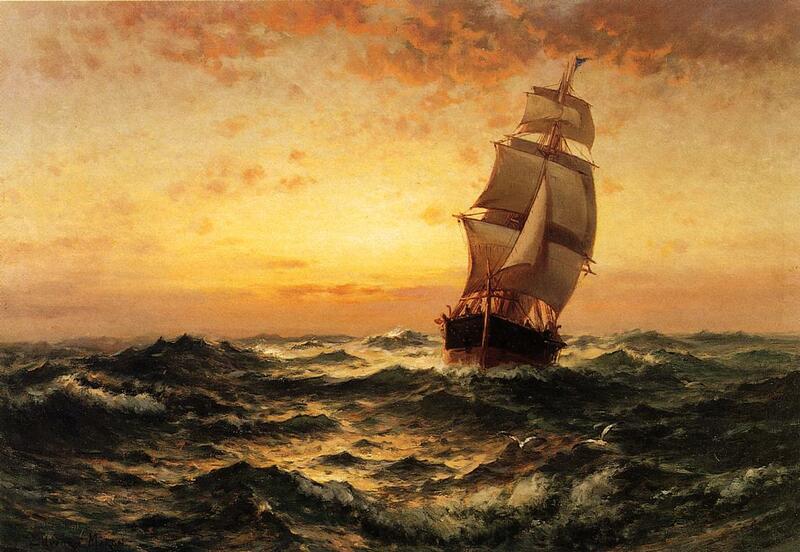 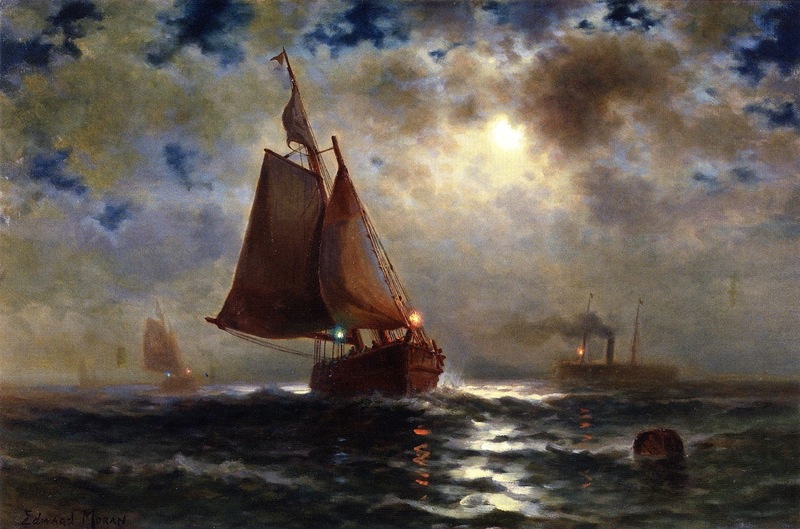 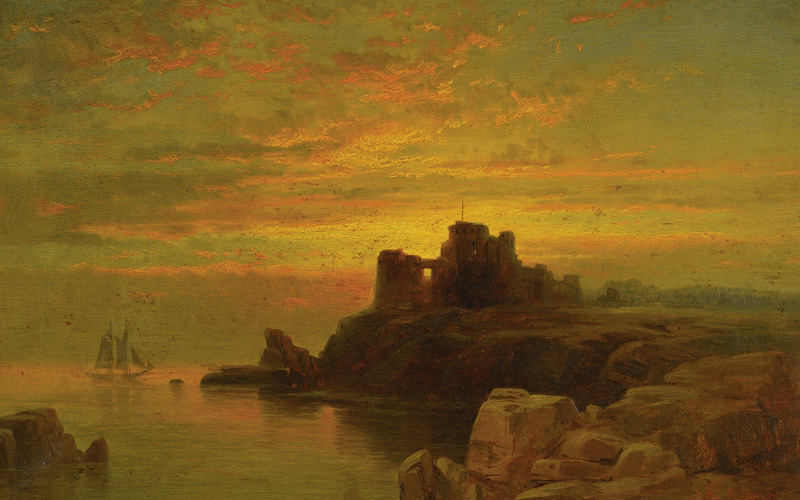 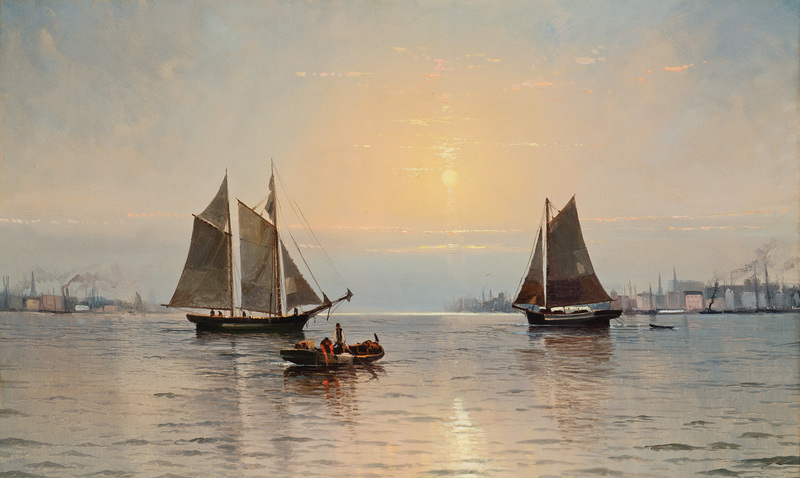 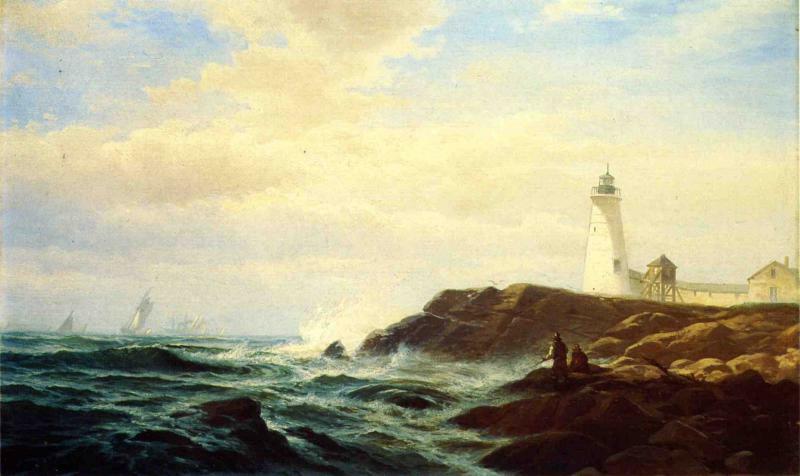 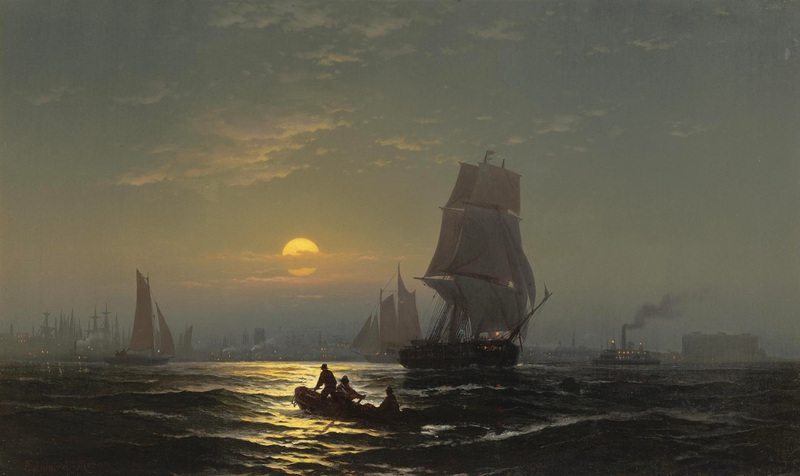 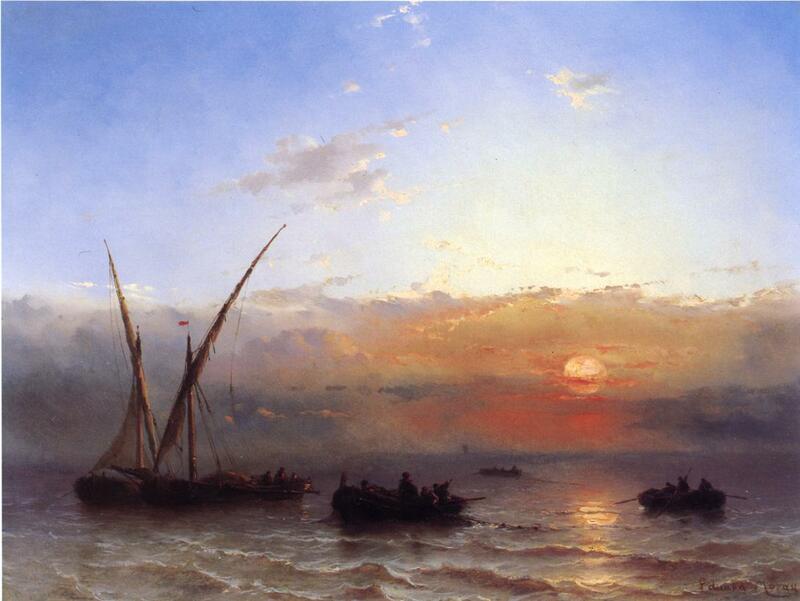 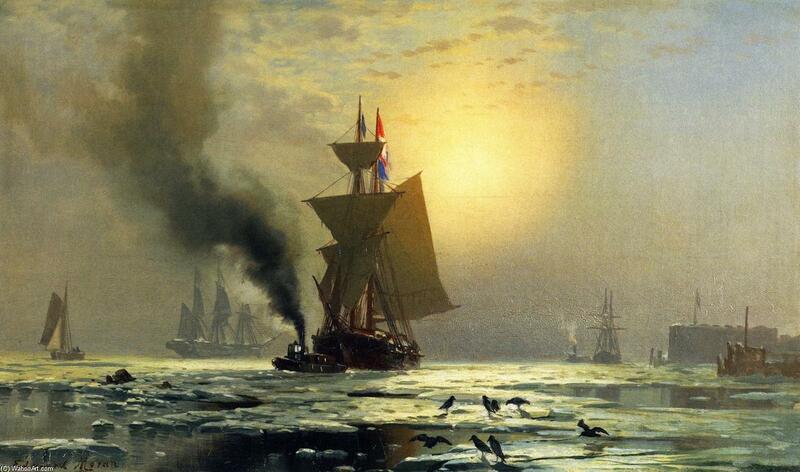 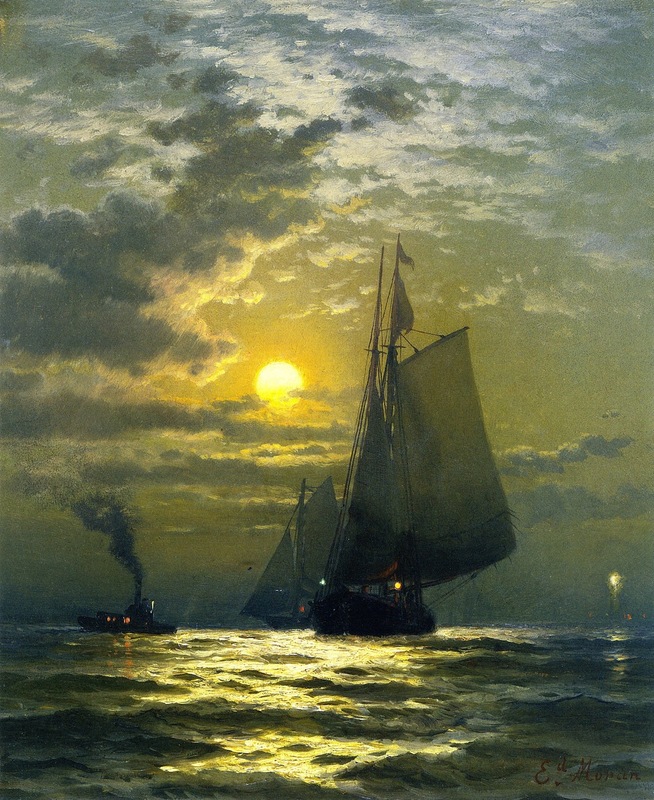 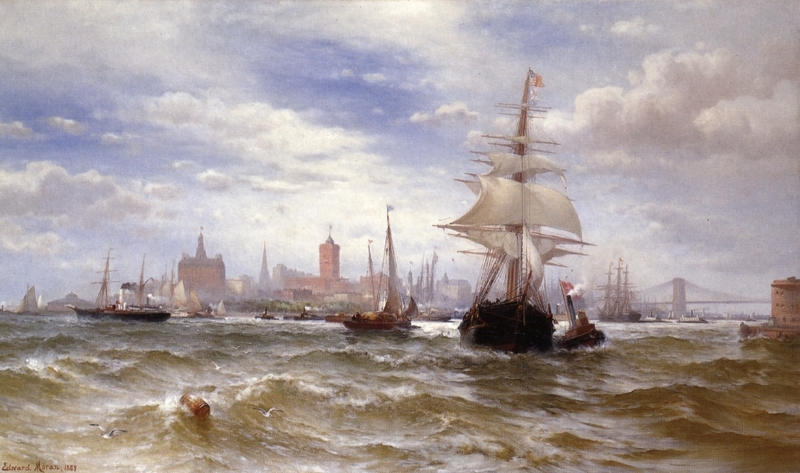 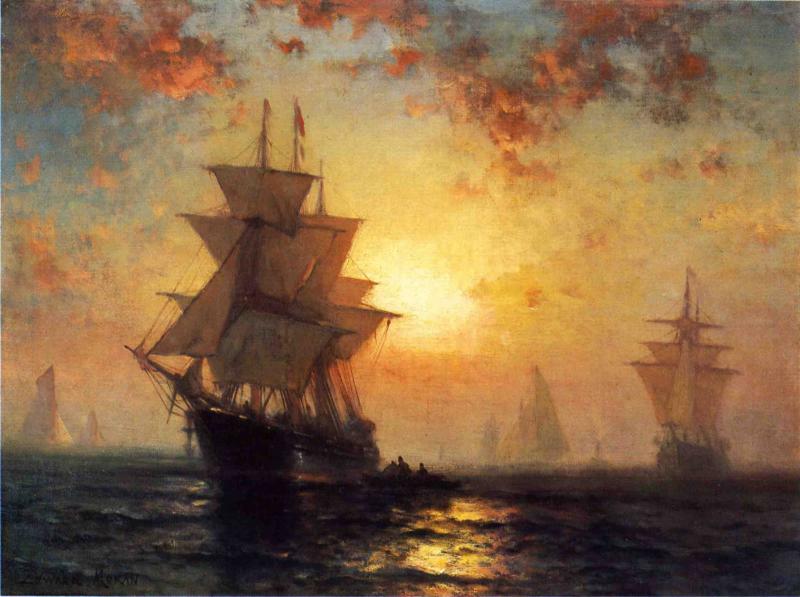 Edward Moran (August 19, 1829 in Bolton, Lancashire, England - June 8, 1901 in New York City) was an British*-born American artist* of maritime paintings. 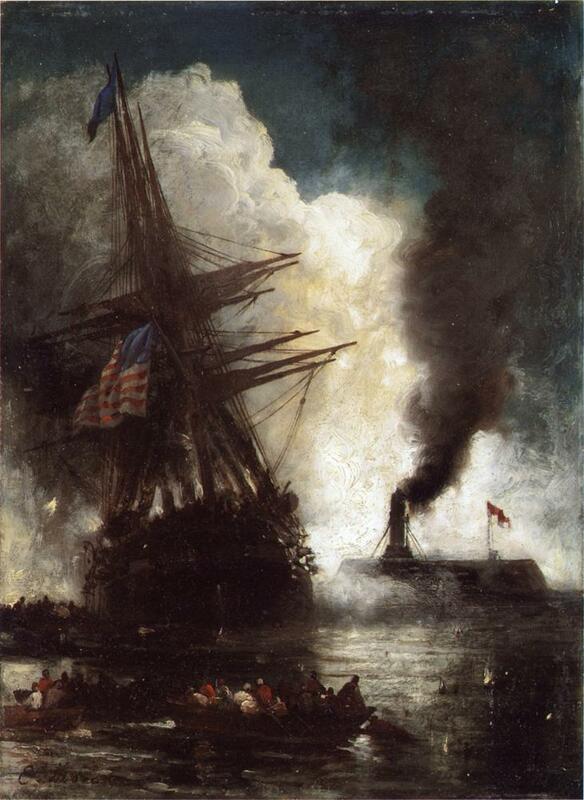 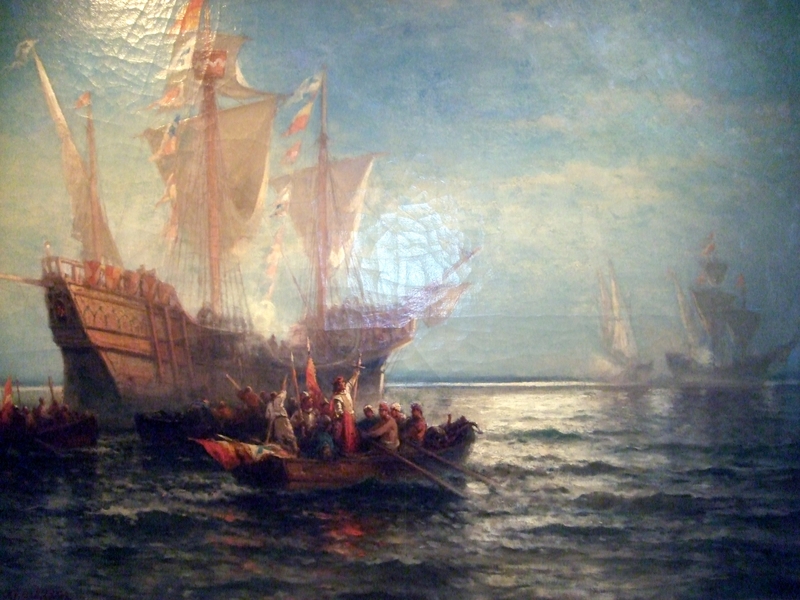 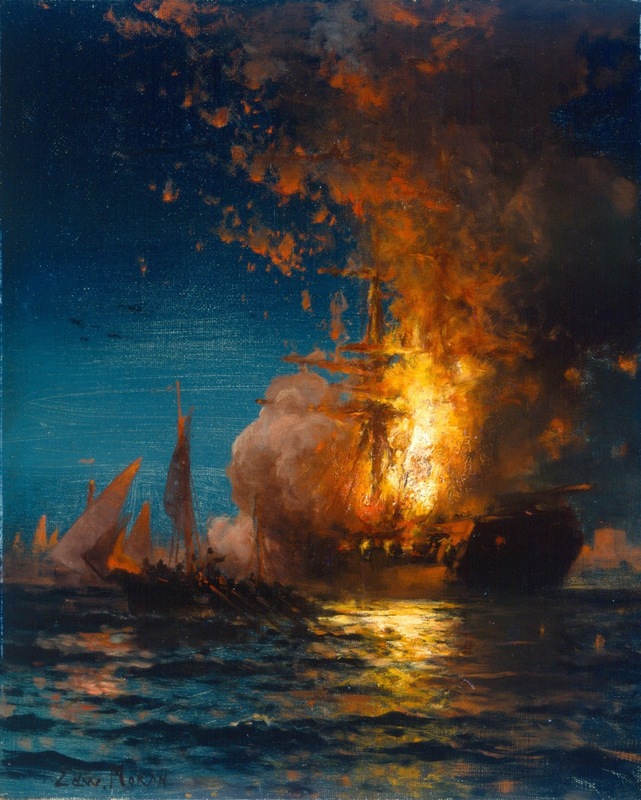 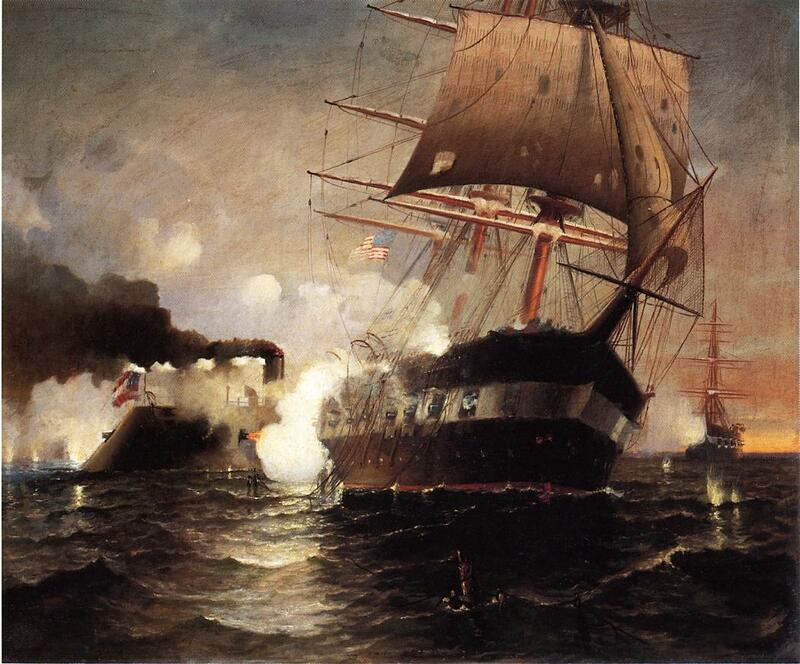 He is arguably most famous for his series of 13 historical paintings of United States marine history. 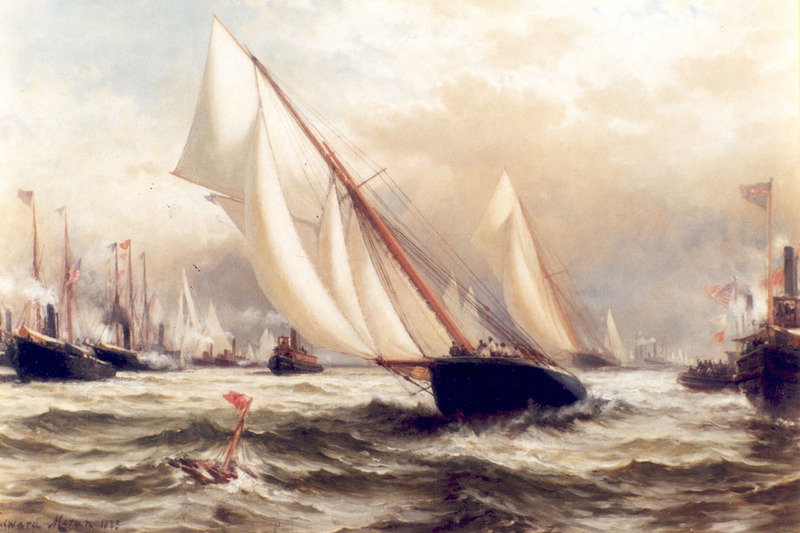 Moran was born to Thomas and Mary Higson of Lancashire, England on August 19, 1829. 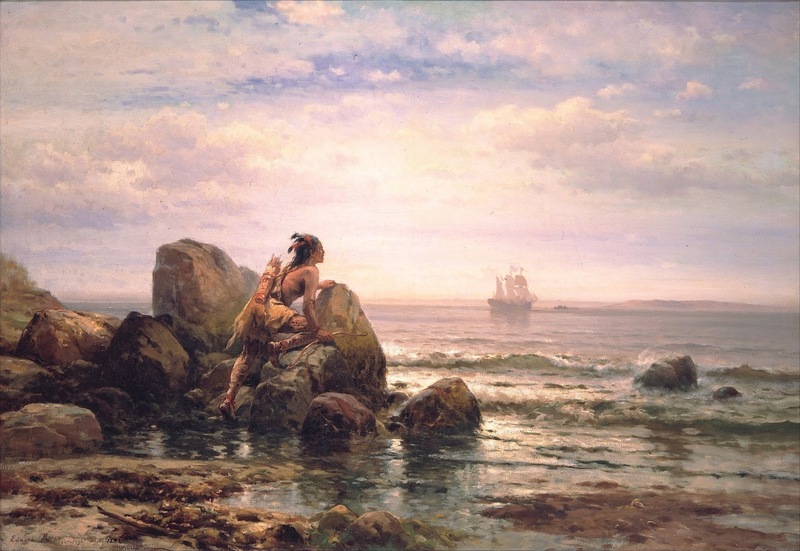 Following in the footsteps of his father's profession, he learned to operate a hand-loom at a young age, though he would often be found sketching with charcoal on the white fabric instead of plying the shuttle. 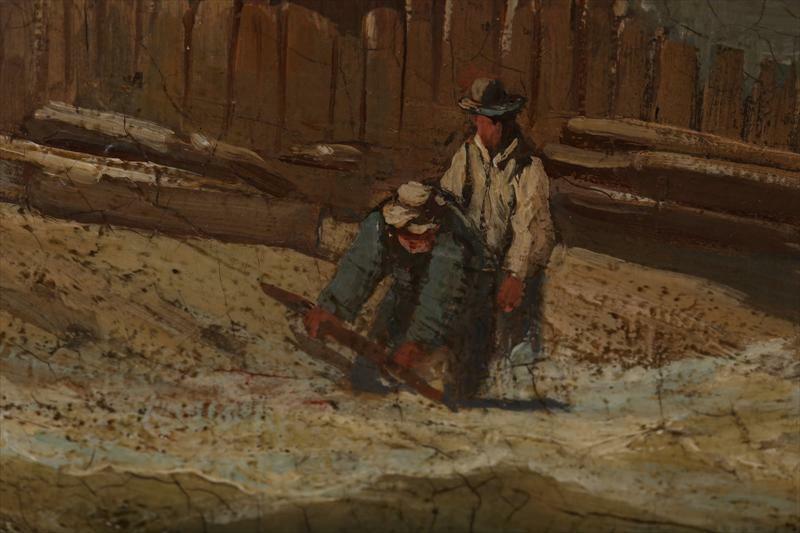 His family first emigrated to Maryland in 1844, and then to Philadelphia a year later. 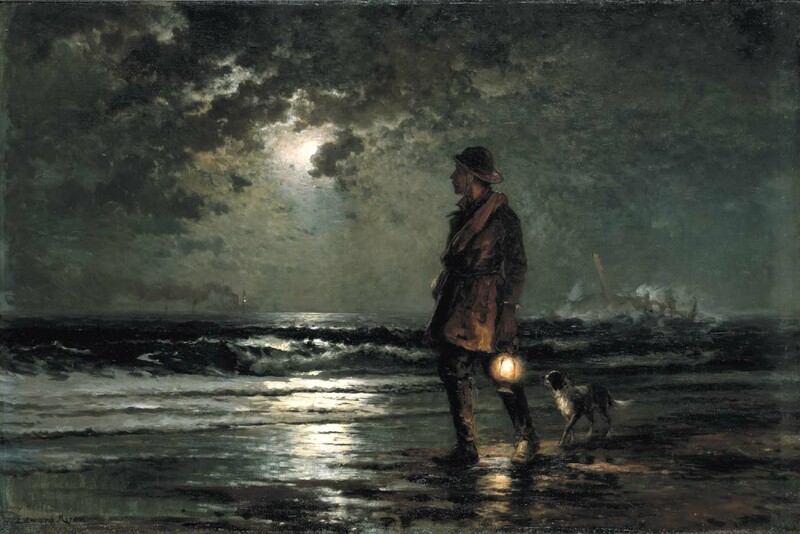 Though Moran loved to regale others with a tale of walking alone from Baltimore to Philadelphia in order to find a better future for himself, his niece has declared that the entire family moved to the city together. 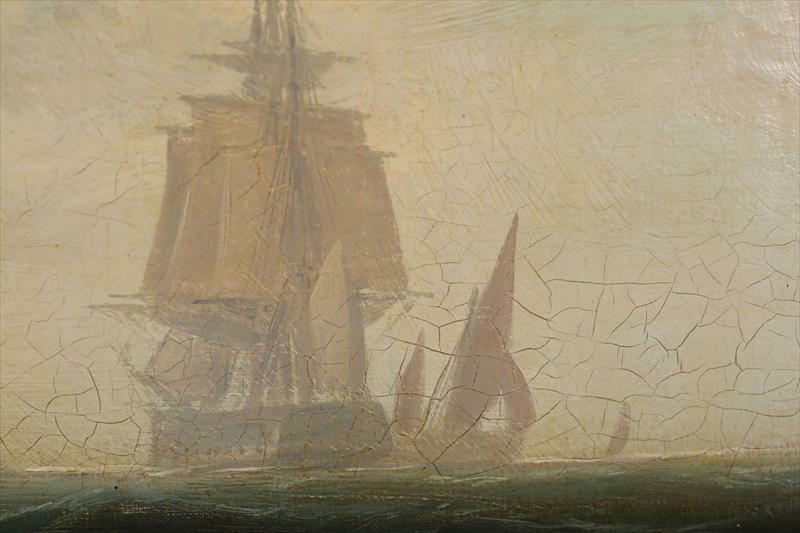 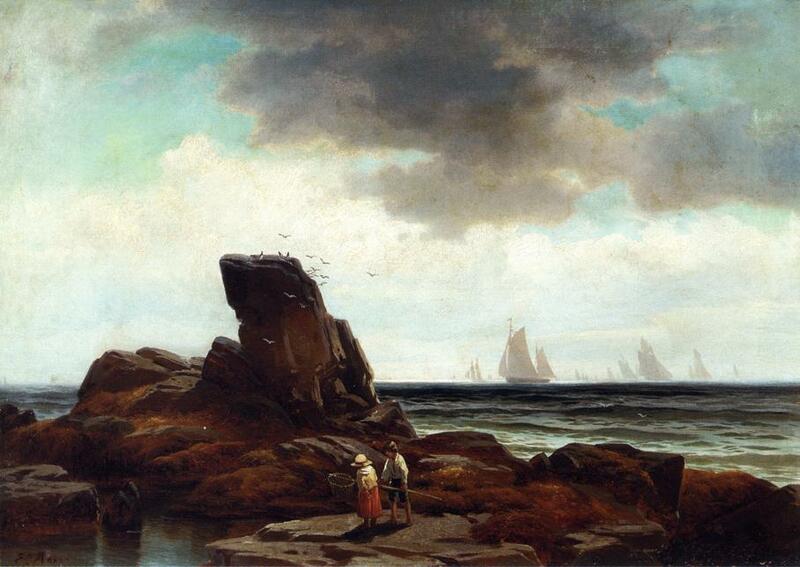 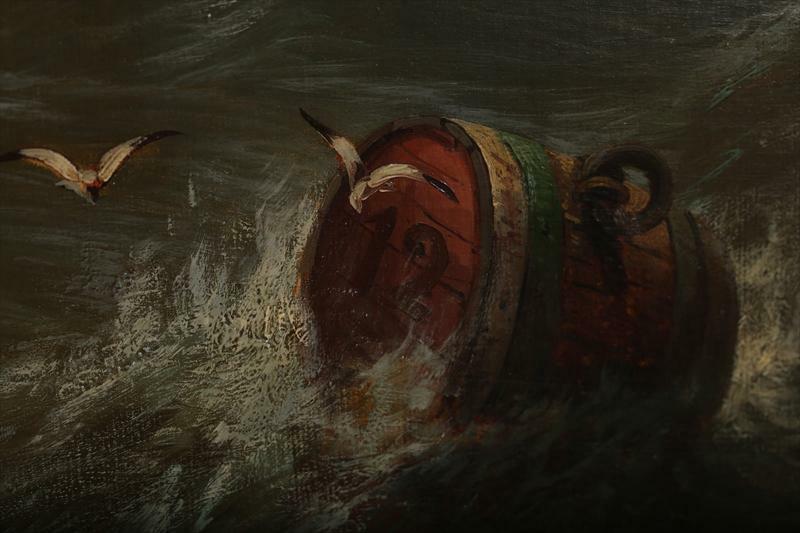 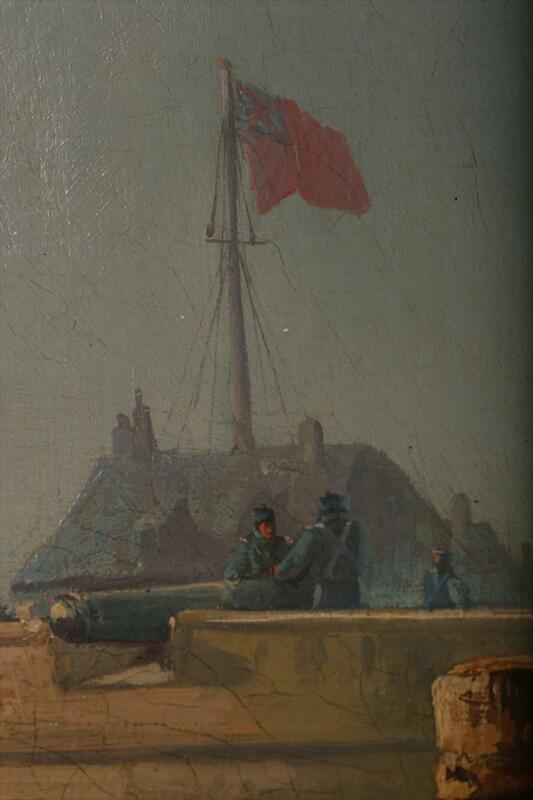 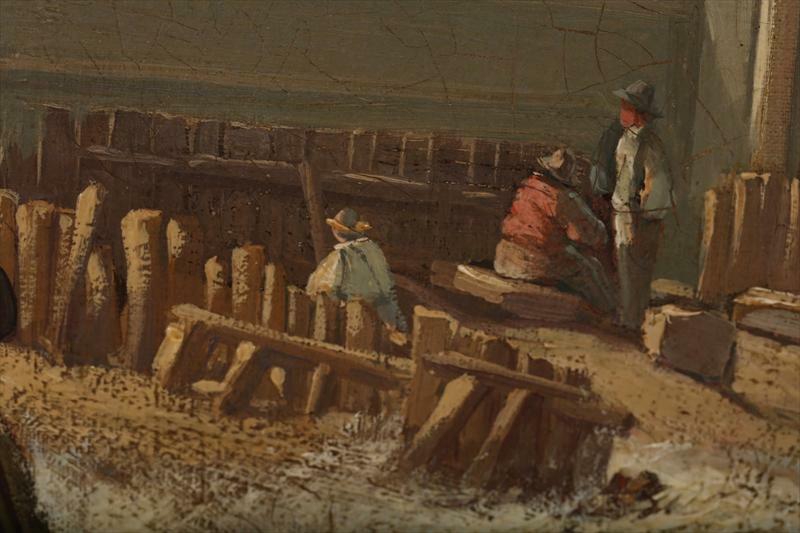 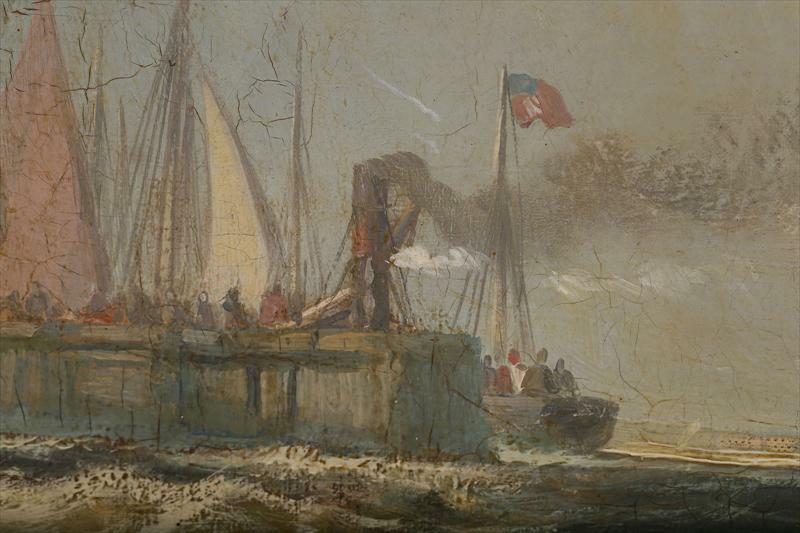 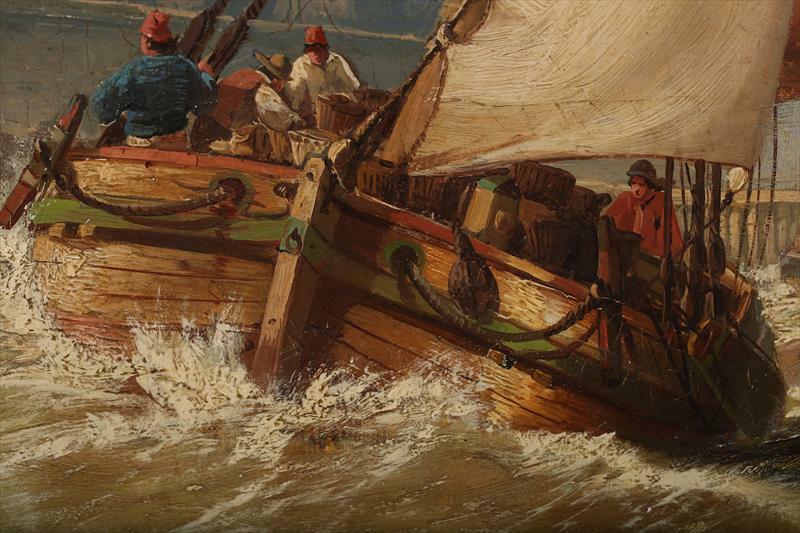 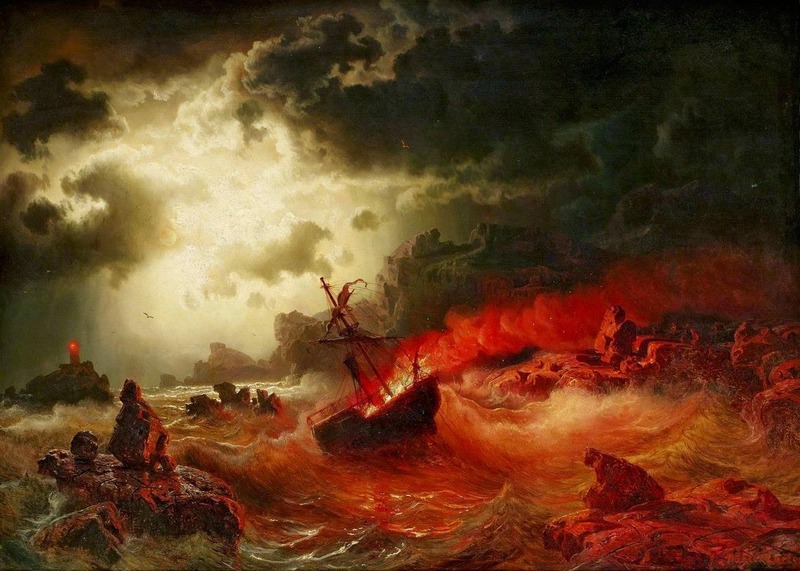 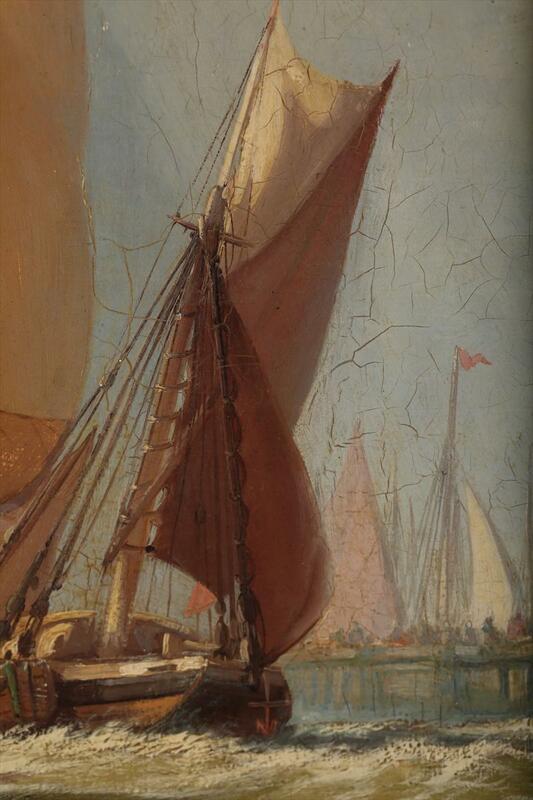 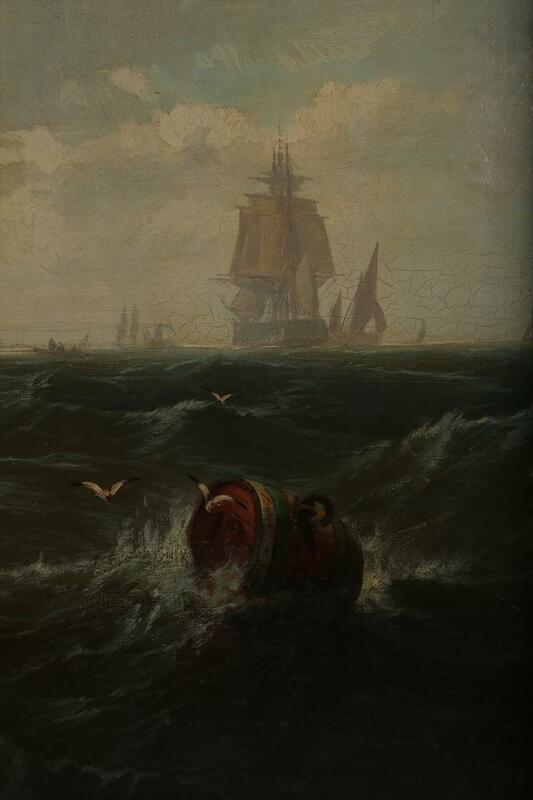 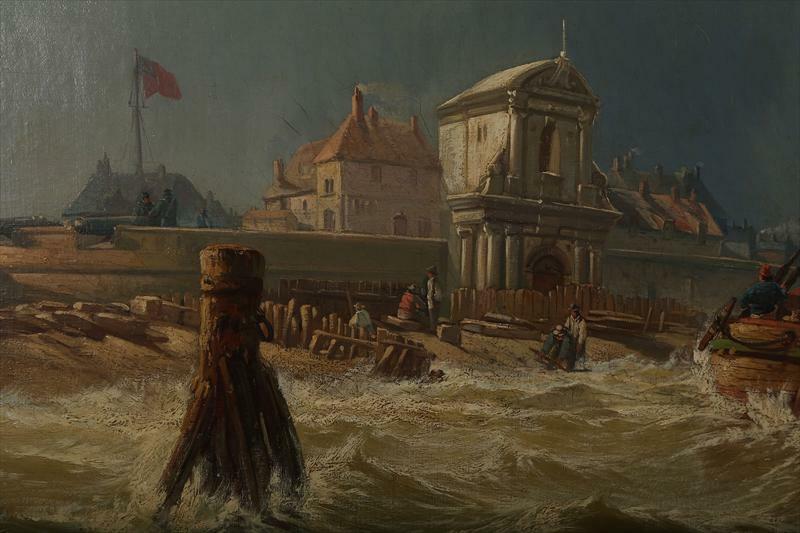 It was in Philadelphia around 1845 that Edward apprenticed under James Hamilton and landscape painter Paul Weber; Hamilton guided Moran specifically in the style of marine paintings. 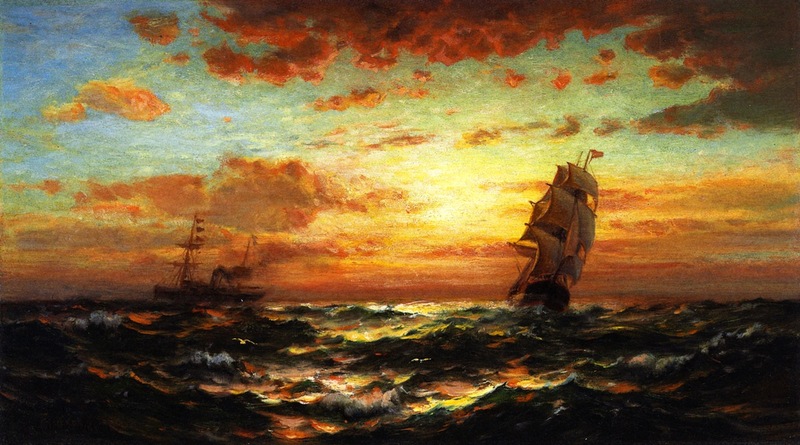 In the 1850s Moran began to make a name for himself in the Philadelphia artistic scene; working in the same studio as his younger brother, famous American painter Thomas Moran*. 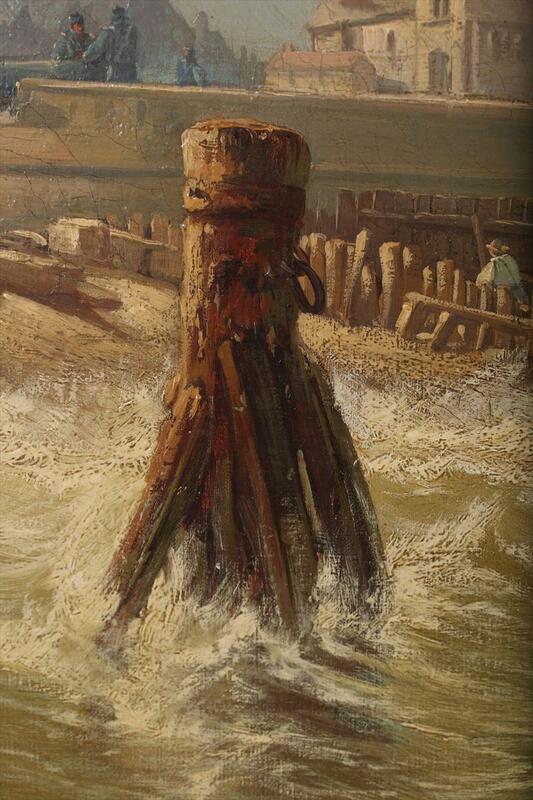 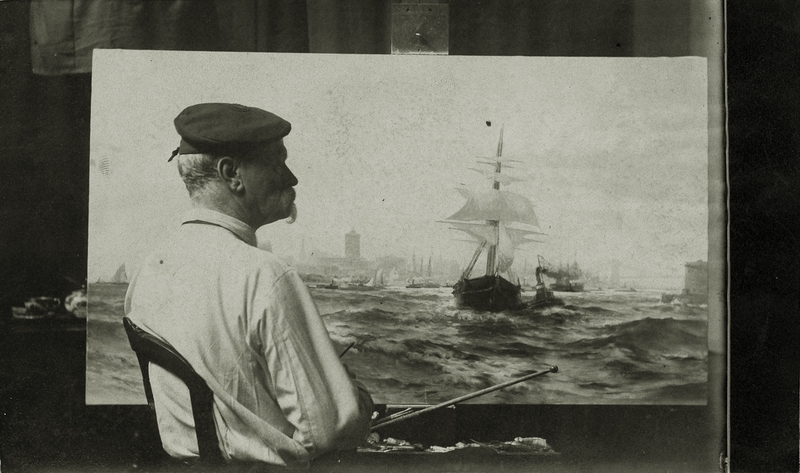 Edward received commissions and even completed some lithographic work. 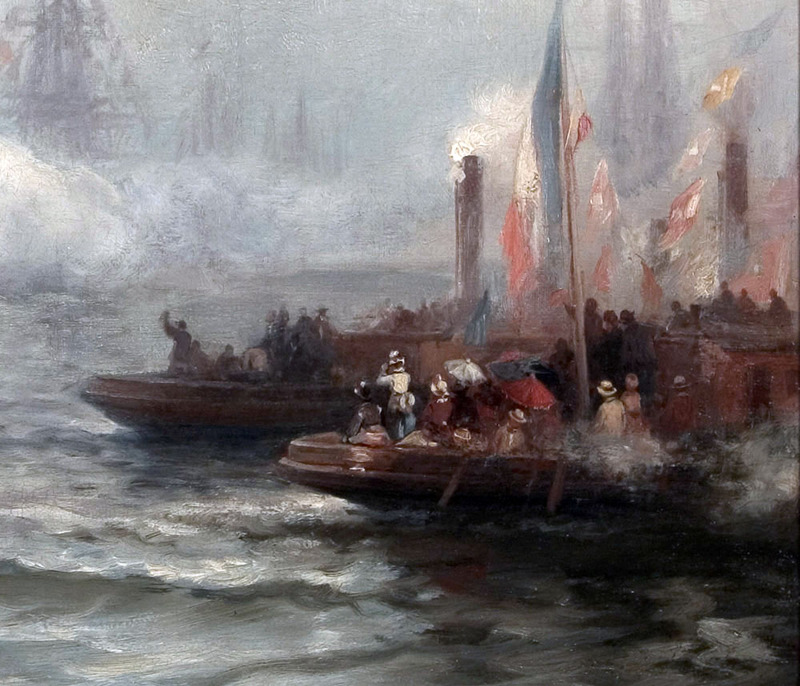 In 1862, he traveled to London and became a pupil in the Royal Academy. 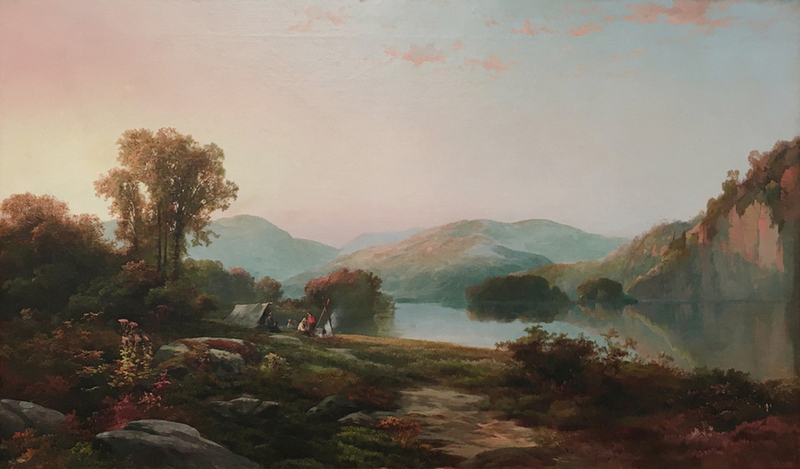 After moving back to Philadelphia, Moran married Annette Parmentier (his second wife), whom he also apprenticed as a landscape artist in her own right. 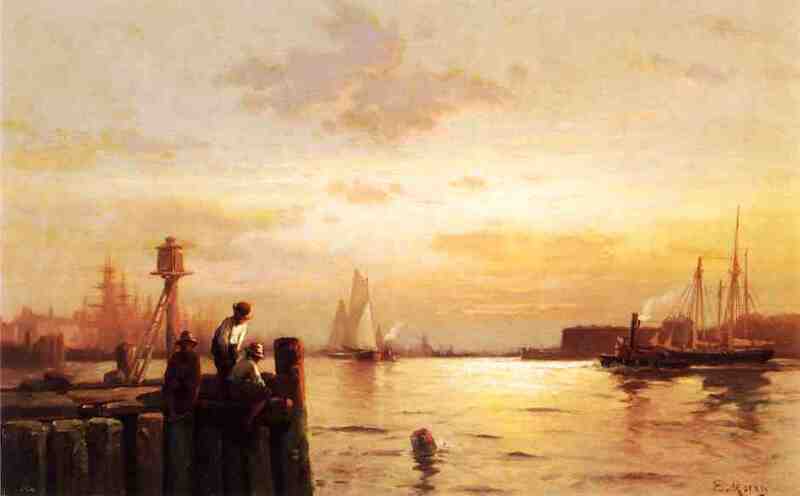 Moran lived in New York City until his death in 1901. 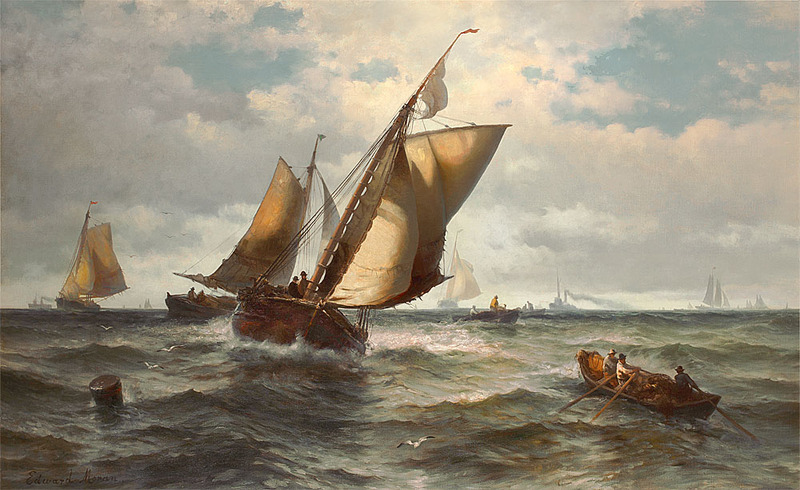 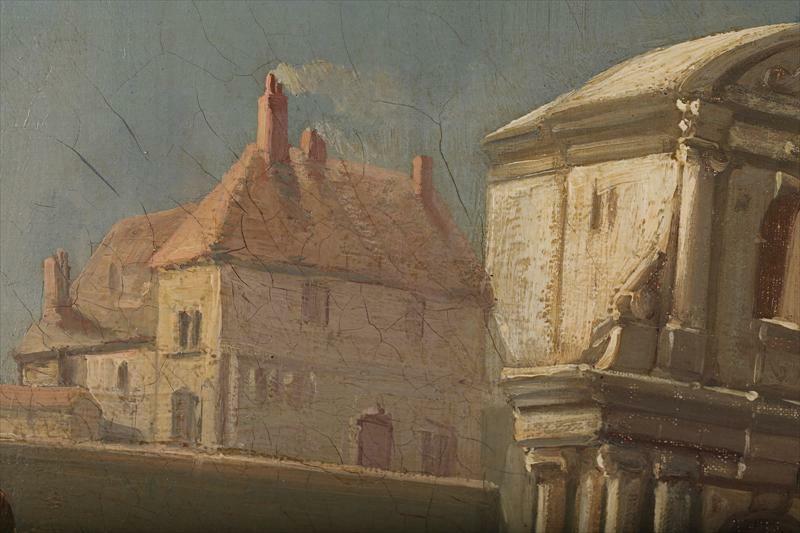 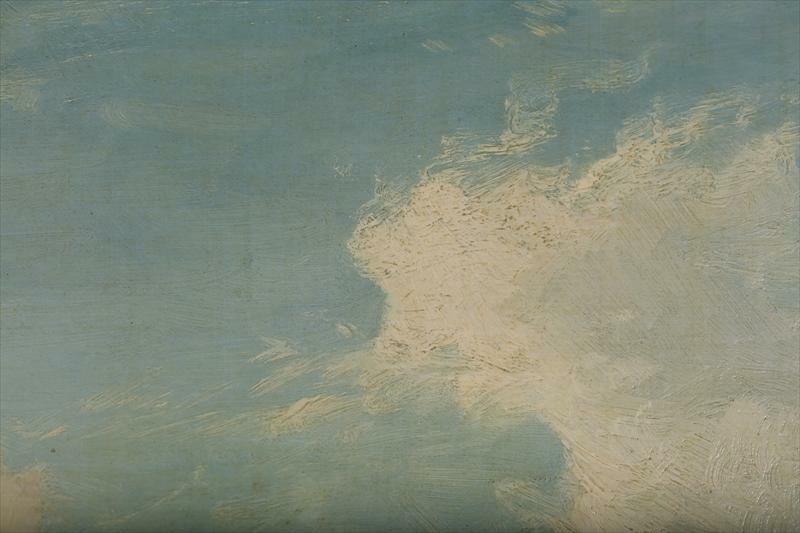 Although he had given the series of thirteen paintings to his wife several years before, a legal battle ensued after his death over ownership of the paintings: the executor of Moran's estate refused to hand them over, declaring that they were rightfully under his protection. 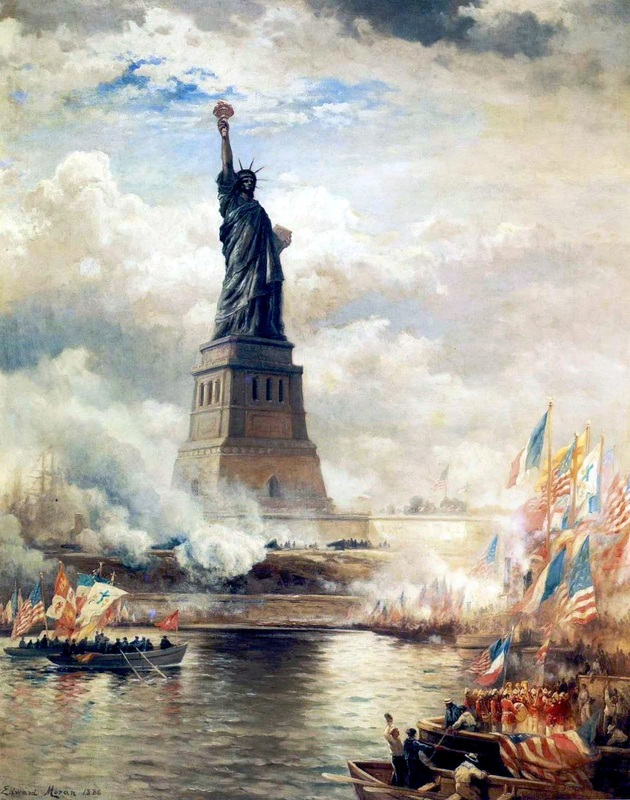 The Supreme Court in New York City eventually judged in favor of Moran's widow.